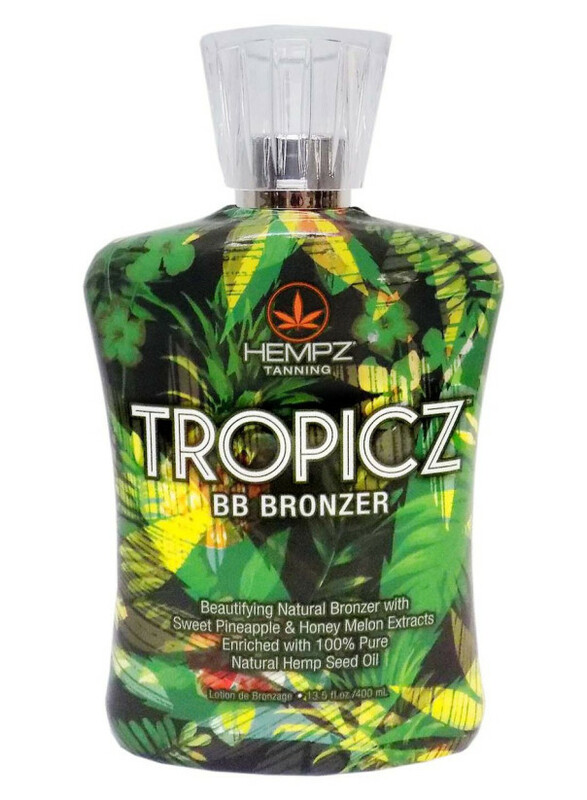 This Beautifying Natural Bronzer with rich tan enhancers and streak free Natural Bronzers helps deliver that perfect island glow. Sweet Pineapple & Honey Melon Extracts are rich in Antioxidants that help to tighten, brighten and even out skin tone while also providing extreme moisture and energizing benefits. Natural BB Bronzers plus Erythrulose helps skin to continue to darken after UV exposure for a more radiant bronze tan. Pineapple Extract contains powerful Antioxidants that help to reduce the signs of aging and improve skins hydration to achieve a glowing complexion. Honey Melon Extract plus Vitamins A and C help to tone and soften skin for richer, golden colour. 100% Pure Natural Hemp Seed Oil hydrates, nourishes and conditions skin leaving it feeling exceptionally soft, smooth and moist.